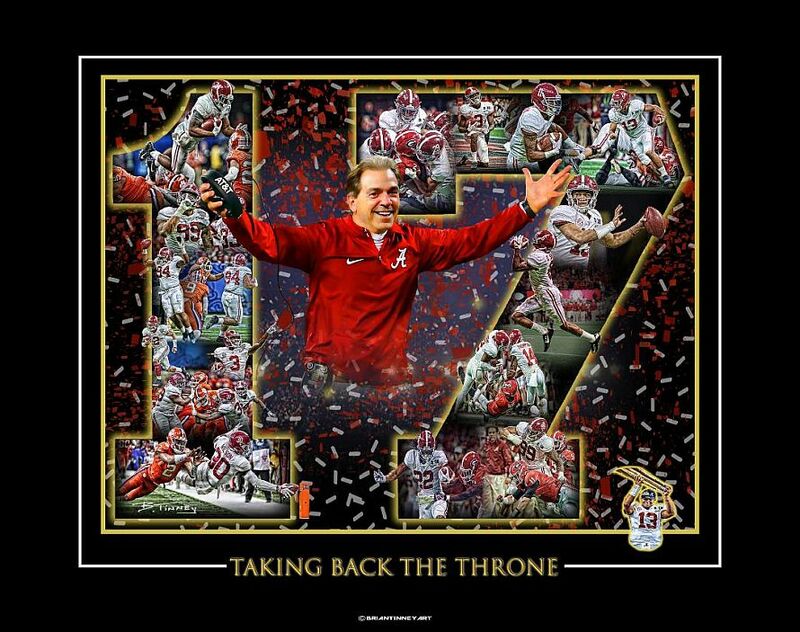 This print Celebrates The Alabama Crimson Tide’s 17 National Championship and Nick Saban’s 6th as a head Coach! 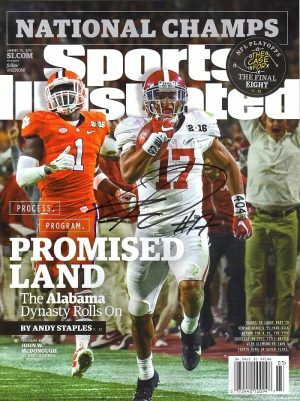 Inside the #17 you will find 17 different images from The CFP Playoffs against Clemson and Georgia. This is one not to miss, it measures 11 x 14 and will look great in any standard size frame.